There are so many tips out there for planning a funeral that you may feel overwhelmed by all options. 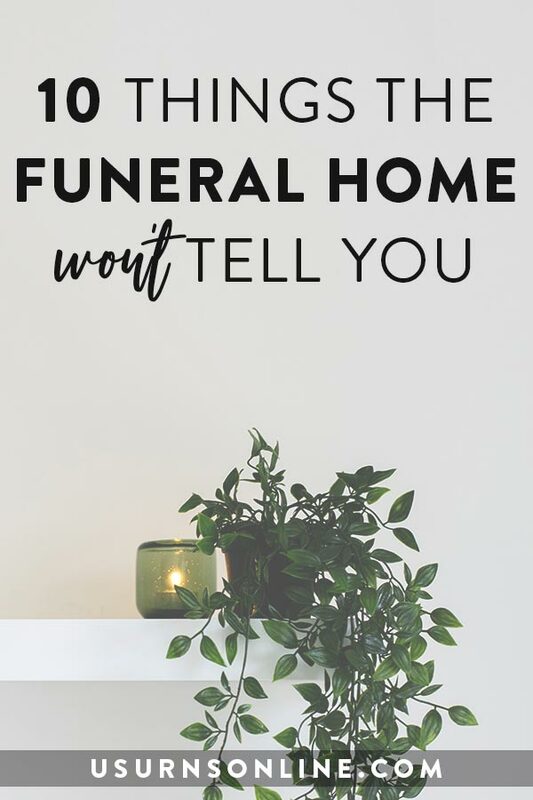 Many of the guides and how-to manuals are put out there by funeral homes, and, while most funeral information is truly meant to be helpful, there may be a few things the funeral home or director may not tell you unless you inquire specifically. Please note that many – even most – funeral directors are honest, extraordinarily helpful, and selfless in the way that they will care for you and your family in this difficult time. We salute these professionals. They will help you navigate through each and every one of these issues, saving you time, stress, and money. 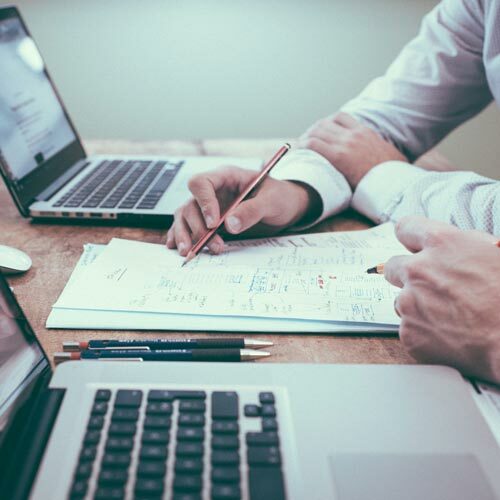 However, it is always best to be informed so that the helpful funeral director can best assist you, and the more knowledge you have about these issues, the more prepared you will be to avoid unwanted costs and services. 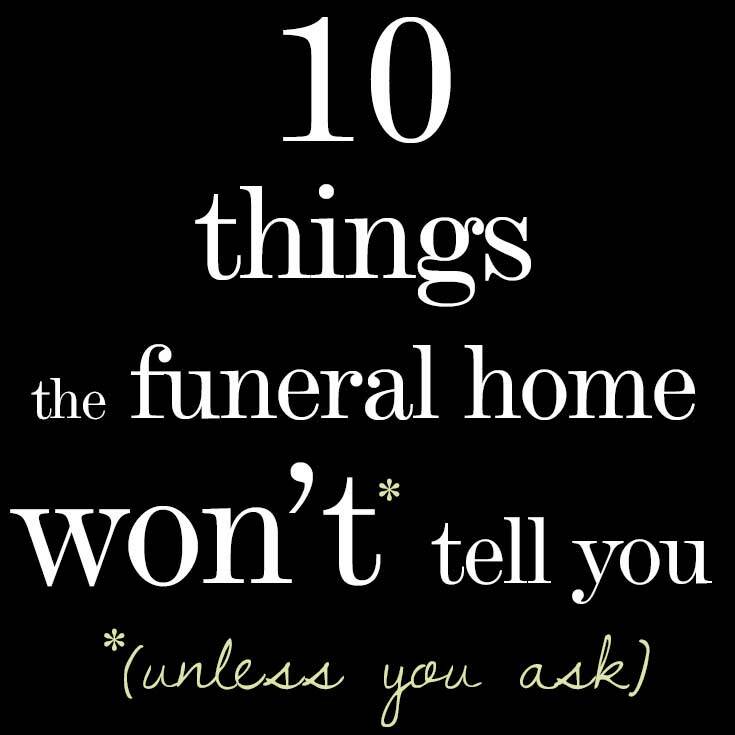 Here is our collection of the most helpful and least-known tips we’ve discovered: 10 things the funeral home won’t tell you. You can ask for a price list for all service – even over the phone! 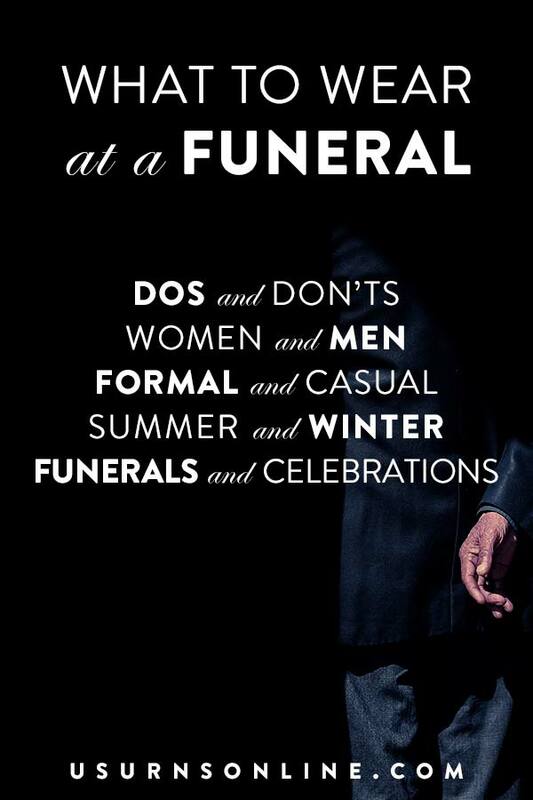 Funeral adjectives are relative – be careful how you are influenced! Pre-planning your funeral and making your final arrangements in advance is a great idea. Not only does it save your loved ones from being forced to make difficult and emotional decisions, but it will give you peace of mind knowing that things are in order. But pre-planning does not need to mean pre-payment; in fact, pre-paying your funeral costs is generally a bad idea. Many pre-payment plans do not include all costs, so your relatives will still most likely have to deal with “additional fees” and other unexpected service charges. With a good plan, additional charges will only happen if the family makes changes at the time of the funeral. However, not all pre-paid plans are equally well crafted. Also, if you outlast the funeral home (i.e., if it goes out of business), then everything you paid to the funeral home could be lost. If you are thinking about pre-paying, be sure to carefully look over the contract, and familiarize yourself with local and state laws. Some states require pre-paid funeral funds to be deposited with a third party, which guarantees the safety of your funds, while other states allow each funeral home to determine where the funds will go. One way to ensure there is money available to pay for the funeral is to set up a payable-on-death account (POD) with your bank. Make the person who will be handling your funeral arrangements the beneficiary (and make sure they know your plans). You will maintain control of your money while you are alive, but when you die it is available immediately, without having to go through probate. So we recommend pre-planning, and be very careful when considering pre-paid funeral services. 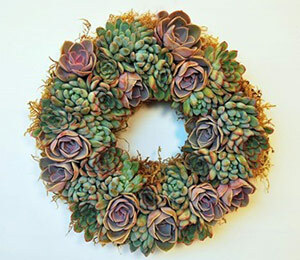 Most funeral homes offer rentals which you can use for the memorial or funeral service. This is a great tip that can save you from paying too much for a casket you can’t afford or an urn you don’t want from the funeral home, and can also help you save on costly overnight shipping charges when ordering an urn or castket online. Casket rental – You can often rent a very attractive, high-end casket for use during the service. The body will generally be in a sturdy cardboard container which is placed inside the premium casket during the viewing and/or memorial service. Afterwards the cardboard container will be removed and buried or taken to the crematorium for cremation. This allows you to have the respectability of a beautiful casket during the public service without the premium cost attached to it. 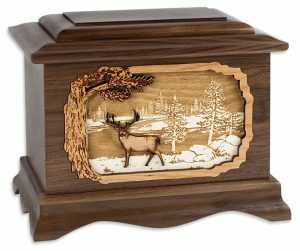 Urn rental – If you don’t like, want, or can’t afford one of the cremation urns that the funeral home offers, you can purchase one online. If you choose something unique or customized, it may take several days to several weeks to produce the urn. In the meantime, the memorial service can go forward using a rental from the funeral home. We often suggest this option to our customers when a service is in the next few days and rush shipping charges on the cremation urn will double the cost – instead, rent an urn for the service, then the one you really want will arrive soon after. Speaking of shopping online, the prices on the web will almost always be more affordable than the exact same item at the funeral home. Despite any impression to the contrary you may receive from a sales-focused* funeral director, you are not required to purchase an urn or casket from them. *Again, most funeral directors are helpful, honest people who do great work serving their families. But as with any profession, there can be some unscrupulous types. Or they just simply might not think to tell you every single one of your many options. In fact, the funeral home is legally required to use the container you provide, and will fill the cremation urn for you upon your request. 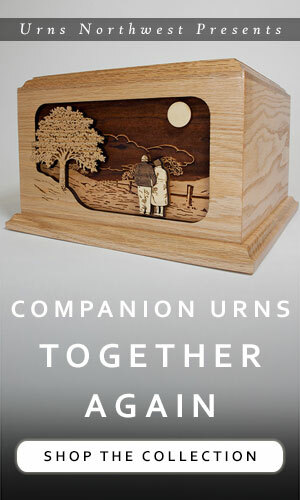 We work with many wonderful funeral directors who urge families to purchase the cremation urn through us in order to provide their clients the best possible prices, and many funeral homes do make available a wide range of urns and caskets at competitive price points. At the same time, there are many funeral homes that offer similar products at a much higher cost to you, so it may be worthwhile for you to shop around. If you’re not comfortable shopping online, or if you just don’t want to hassle with another thing to do, you can still find more affordably-priced caskets and urns at the funeral home. They tend to display the premium items in the showroom, along with a few cheaper models that give you the impression that you are looking at the whole spectrum of options. But if you really want to save on costs, just ask if they have any more budget-friendly options in the back. Again, many funeral professionals will gladly help you find the right item for your situation, but with these funeral tips in mind you can avoid falling into potentially costly sales traps. Need more info on this topic? Here are 5 Ways to Get an Inexpensive Casket. 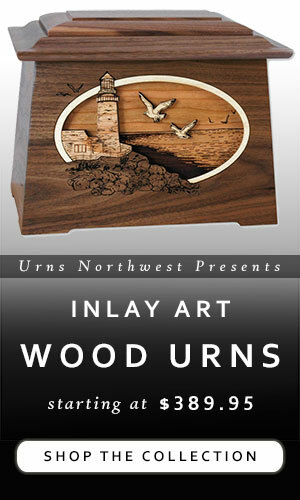 And to find the perfect cremation urn, definitely check out our selection at Urns Northwest. There is no law that requires you to use or purchase a casket for cremation. Every provider of cremation services is required to inform you that alternative containers (such as cardboard) are available. These are often either free (included in the cost) or available at a much lower price than a traditional casket. 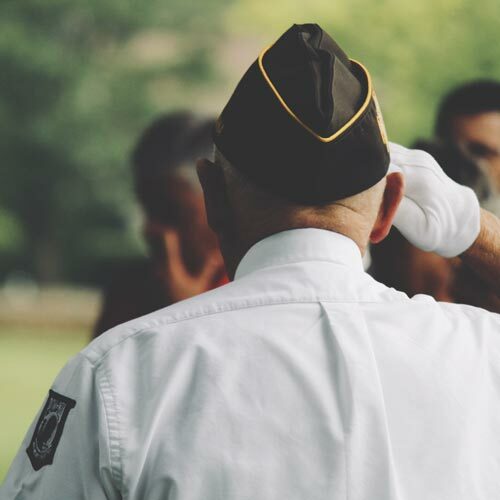 Veterans and spouses of veterans can obtain free burial and other services, such as perpetual care and personalized headstones, through the National Cemetery Administration of the U.S. Department of Veteran’s Affairs. Funeral-related services are pre-specified, and generally only apply to burial or inurnment at a National Cemetery, so you should research what is available to you to see if it will work for your situation. See here for more information. Many funeral homes will offer packages that are designed to help you save when purchasing a variety of services, but these can often include things you may not want or even need. Funeral homes are required to provide itemized price lists for all services if you ask for one. You can even do this without leaving your home – consumer protection laws require that funeral costs be provided over the phone if you call in. Some funeral homes aim for a “high end” clientele and will have nicer, more spacious facilities and little conveniences like complimentary coffee or a play room for children. Other places might not have all the bells and whistles, but equally great service and the exact same products for a fraction of the price. So call up a couple of funeral homes and compare prices, then do a bit of background research on their websites and social media before going in. This shouldn’t take more than a half an hour, and it could save you thousands of dollars. While most funeral directors are honest and helpful, you may get a pushy-salesman type who will try to sell you more than you need. Or perhaps you feel pressure from family and friends to make everything “just right”. Or maybe without any explicit prodding, the vast arrange of options makes you feel like you need to accept more of the services the funeral home offers than you might under different circumstances. Read more here: What Do I Need to Buy From a Funeral Home? In most states (excepting Louisiana, Nebraska, Illinois, New Jersey, New York, Indiana, Michigan and Connecticut), you are not required to use a licensed funeral home or director at all. You can arrange and conduct the memorial or funeral in your own home. However, it generally is advisable to have the knowledge, resources, and assistance that a professional can provide, so we heartily recommend using the services of a reputable funeral director. Just be aware of your rights and options. Since funeral arrangements are often a new experience for most people, the words and terminology used can subtly influence how you think about the options and services available at a funeral home. For instance, many funeral homes or crematoriums will have “temporary urn” stamped onto the container in which the remains are returned to you. This can be misleading, because implies that you need to purchase a “permanent urn”. While many people do in fact purchase a different container specifically designed to be a beautiful and lasting memorial (these are the kinds of memorial urns we offer), the true “permanent urn” is any container you choose to house the remains. If you’re fine with the so-called “temporary” urn, then that can be the permanent urn! Another term often used is “traditional,” which can exert a subtle pressure on you to conform to what people normally do. If you’re presented with a “traditional” and a “budget” casket, don’t decide based on the words used by the funeral home but rather think through what you want and what you feel is appropriate to spend. In all fairness, adjectives such as “traditional” and “temporary” are common usage and helpful for explaining products and services within the funeral industry. We use both of these terms (and many other similar ones) regularly on our website, because they reflect both the common usage and actual practices associated with the terms. Ultimately, we want you to be aware of the implications of certain words (especially adjectives), and know that the final decision of what is right for your loved one is up to you and your family. If you ask, funeral homes must give you a written statement and explanation of all costs associated with the funeral, burial, and/or cremation services you have chosen. This statement will be helpful in making sure that you aren’t charged unnecessary fees for services or products you do not want. When planning a funeral, it’s a good idea to bring another person along whenever you are shopping for or deciding on funeral services. Ideally this is a person who was not as close to the decedent, as they will be able to offer a less emotionally invested opinion on the choices you’ll be making. Want to learn more about saving on funeral expenses? Here are 50 Tips for a Funeral on a Budget. Want to save about $100 or more on a cremation urn? Shop online. Be sure to bookmark or pin this page to save it for later! Respectfully, I feel you DO need to stress that majority of folks SHOULD get either a PreNeed Funeral Policy or a Final Expense Policy for those who are Financially Strapped and aren’t able to pay the higher premiums of a PreNeed Policy because statistically 50 percent of women are dying in nursing homes and as much as 90% are on Medicaid and don’t have any assets or limited to $1,500 to $2,000 in their account. This puts many families in a difficult position at a very difficult time!!! I just buried my brother and we bought a preneed policy for him three years ago when he went in the nursing home. The cost for the funeral yesterday would have been double what we paid three years ago. Connie, that’s wonderful to hear! Unfortunately for others, they do not always have the same experience. Glad you had a great plan that came together affordably. Thank you for sharing! This information will come in handy soon because my grandfather isn’t doing too well. So, I liked that you pointed out that some services like embalming, viewing, and caskets are optional. That is a good thing for us to do know because our budget isn’t too large for his funeral. Daniel, I would love to have a conversation with you to offer you some hints on the information you are putting out. It is helpful but not totally accurate. I believe I could clear up some of your misnomers. Sent you a private message, thanks! As a funeral service professional I must agree with Mary. Much of what is given in this article is inaccurate information which contributes to the bad reputation of funeral service. I entered funeral service to truly service families and I’ve been blessed to work for funeral homes that do just that. The FTC places regulations on the funeral profession that requires us to provide a General Price List to anyone who inquired about prices or services. This price list includes an itemize list of all services offered by the funeral home. Also rental caskets and urns are a part of this general information. I’ve seen families receive money back due to prepared funeral plans. Those that end up paying are individuals who purchase a preplanned funeral shortly before they pass away. In such cases they are not beneficial. The goal is to help with inflation costs. I would love to talk with you and maybe clear up any other negative images that may be had about the funeral profession as well. I didn’t see mentioned that there are discount casket stores you can buy from and the funeral home has to accept them. Why pay $4000 when you can pay $1000 or sometimes less for the same thing. Yes, there might be a scratch but there are plenty to choose from and .. It’s going in the ground. When my uncle died in Oklahoma my Aunt really couldn’t afford funeral home prices. My parents who were already in OK drove back to Dallas and delivered a resonable priced casket to the funeral home in OK. The casket was a beautiful steel gray. Can you comment on waterproof caskets ? Thanks for your comment! 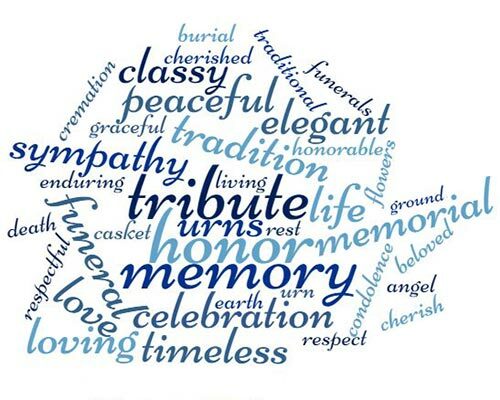 We work with many wonderful, caring funeral homes, many of which WILL tell you these things. We specifically mention this in the article. 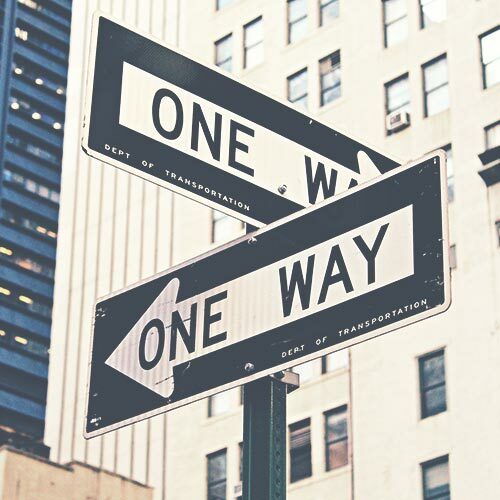 However, it is best for consumers to be as well-informed as possible, so we are encouraging people to understand the pros and cons of each option. Thanks also for your point about the long term vs short term benefits of a prepaid funeral plan, that makes perfect sense! However there is still risk involved when purchasing a pre-need plan, and people should be aware of those risks. Thanks again for your comment! This is some really good information about funeral homes. I liked that you pointed out that you should think about what type of funeral you want. My grandmother wants to be cremated so it would be smart for us to think about different types of urns. I like the tip that you gave to only pay when you are sure that you have chosen the right funeral home. My wife and I have been talking about where we could have her father’s funeral, and it would be important for us to know that we are considering all of the necessary things. I will be sure to mention the idea of not paying until we are sure about where the funeral will be.